Now available for iOS 11 with ARKit and iPhone X ! SkyORB features many functions as a 3D real-time representation of the planets position around the sun, the ability to hold your device and point toward a visible star and planet and reveal the name by tracking the GPS position, compass orientation, the elevation from the gyroscope, warn the user when a phenomenon is occurs as a full moon, a planet really visible, which is worth the observation. • Ephemeris including next 60 days astronomy events, including peak day of meteors showers, date of planet elongation and opposition. • Powerful universal search engine: type few letter and find a matching nebula, constellation, place, planets, exo-planets and more. We are moving the old documentation to this page, currently work in progress ! Q: How to reset the time shift in the app? Q: How to force in English? Q: How to change the location on Mac or Windows? Q: What is the value display on the Apple Watch complication? A: Open the app from the Apple Watch and hold press, then you can speak out the word like Where is the Moon, Where is Mars etc.. Considering that SkyORB is a free app, it's breadth of functionality may have you convinced you'd paid a couple of dollars for it. SkyORB is fantastic for anyone interested in the night skies, but it's not just a star-gazer's handbook. 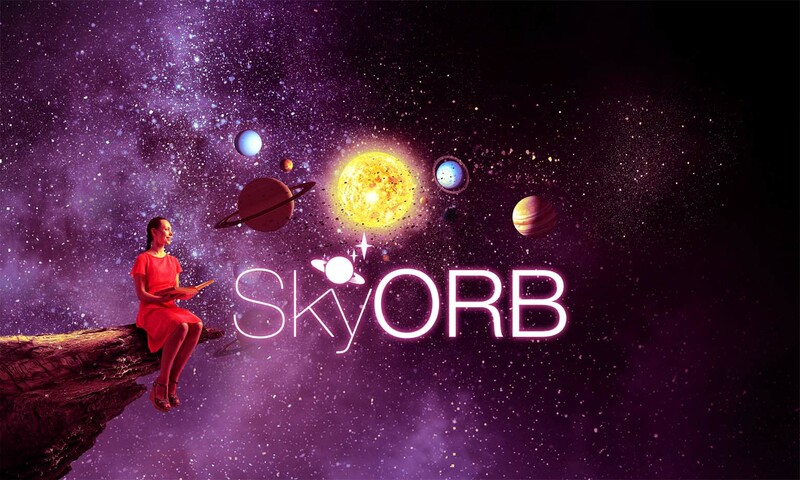 Not only do you get wonderful interactive maps and plans of the night skies but SkyORB also takes you on journeys through the solar system. The defining feature of SkyORB is its 3D functionality. Night-sky images as well as those from the solar system can be manipulated in 3 dimensions, showing how our wonderful solar spheres co-exist and interact. SkyORB is a decent stargazing application that utilizes a really good digital compass and a 3D interface. It lets you search and find stars, deep sky objects, current satellites and shuttle missions, and enables you to see the sky from any point on earth. The trial version is of course free but is stripped down in features, unless you pay for the premium version for a few bucks right inside of the app. Right ascension (abbrev. RA; symbol α) is the astronomical term for one of the two coordinates of a point on the celestial sphere when using the equatorial coordinate system. The other coordinate is the declination. Declination (abbrev. dec or δ) is one of the two coordinates of the equatorial coordinate system, the other being either right ascension or hour angle. Dec is comparable to latitude, projected onto the celestial sphere, and is measured in degrees north and south of the celestial equator. The Minor Planet Circulars (MPC): The Minor Planet Center, under the auspices of the International Astronomical Union, it is the official organization in charge of collecting observational data for minor planets (asteroids) and comets, calculating their orbits and publishing this information via the Minor Planet Circulars. TLE or Orbital elements are the parameters required to uniquely identify a specific orbit. at this point of its orbit it is roughly closest to the Earth, making it appear bigger and brighter. Aphelion: A planet is said to be farthest distance from Earth. Perihelion: A planet is said to be closest distance from Earth. The planet will appear bigger and easier to spot.